This USB audio interface is perfect for recording while on the road or at home. It will work on both Mac and PC and comes with Cubase LE recording software. You can record on 2 channels at once. Plus 2 microphones in or plug an instrument in. It is only around $150. 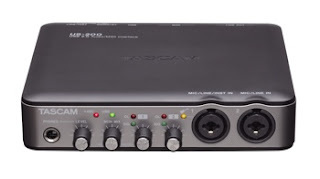 For more info visit Tascam here. Artists and bands be sure to submit your music to theses two radio networks.